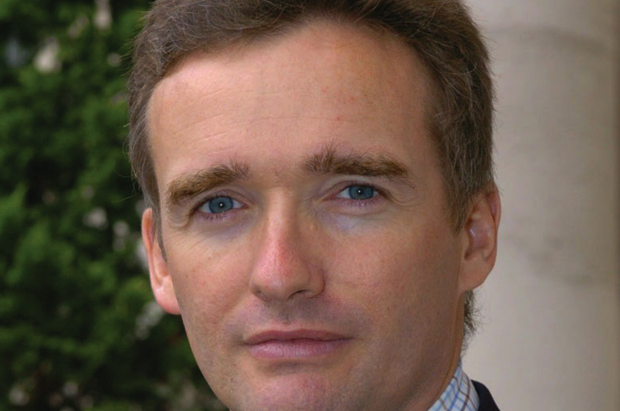 Alex Ellis, the UK Ambassador to Brazil, reflects on how policy-making has changed in the Foreign and Commonwealth Office since 2010. “You’re not as good as we thought you were.” That was the message from the new Ministerial team to officials in the Foreign and Commonwealth Office (FCO) after they took office in 2010. Swallowing our pride, the message struck a chord with civil servants in the FCO: our management had improved substantially in the last decade, but our policy-making skills had not kept pace. This challenge from Ministers led directly to the Diplomatic Excellence initiative. As the Foreign Secretary, William Hague, put it in a speech in 2011, the Diplomatic Excellence initiative is “the biggest drive to enhance the cutting edge abilities and diplomatic skills of the Foreign Office that the Department has ever seen; skills in negotiation, analysis, difficult languages, economics and policy-making”. Diplomatic ExcellenceDiplomatic Excellence is the FCO’s reform and improvement agenda (2011-15) with the ambition of making the UK’s Diplomatic Service the best in the world. The FCO launched the Diplomatic Excellence campaign in response to the Foreign Secretary’s vision for the Department to be a strong, influential institution that gives leadership to the Government’s international policy through its expert knowledge, its strong diplomatic skills and the power of its ideas. I worked with the FCO Policy Unit on this agenda until this summer, when I moved to be the British Ambassador in Brazil. What conclusions can be drawn from the policy work on Diplomatic Excellence, and how am I applying them here in Brazil? The Policy Unit’s starting point was listening to what people inside and outside the FCO thought comprised policy excellence, and then establishing projects to improve our performance. Some of these projects worked, like ‘challenge sessions’. These involved bringing in people from different government departments, as well as people outside government, to test a policy being developed. This started with an ad hoc session on how best to respond to the Arab Spring early in 2011; but soon it expanded to include how the FCO should support the central priority of the Government: to strengthen the UK’s economic prosperity. In light of this challenge on prosperity, the relevant Directorate changed how they structured their programme work, incentivised their non-project work, and used their own ‘Dragon’s Den’-style policy workshops. The FCO Management Board were also big fans of the Policy Unit’s work to define specific in-year outcomes for the FCO as a whole. This enabled the organisation to focus on achieving specific and measurable goals, achievable within a year, rather than having only vague and qualitative aspirations about ‘enhancing relations’ with other countries in the long term – aspirations that make any form of performance analysis much harder. Each month, the Policy Unit collects examples of the tangible impact the FCO has had around the world, and an internal but independent panel scores these examples according to the importance of the event, and the success of the FCO’s involvement. At the end of the year we use these in-year ratings to evaluate our overall performance, and also ask independent experts from outside the FCO to give us their assessment of our performance, so we can learn from our successes and failures. This has helped us identify and disseminate some of the critical success factors, such as: the importance of identifying the specific FCO contribution to a desired outcome; bringing creativity into policy-making; investing in strong cross-Whitehall co-operation; and allocating a specific campaign or project resource to a particular diplomatic goal. The outcomes idea was unashamedly borrowed from elsewhere in Whitehall and was developed with the support of the Department for International Development (DfID), drawing on best practice from other leaders in this area, such as the Crown Prosecution Service. Some of the projects have not worked so well. For example, as part of the Civil Service-wide drive for open policy-making, we set up a project to address the FCO’s weakness in using outside expertise, encouraging teams to create knowledge groups – networks of FCO alumni and external experts who could contribute their institutional memory and expertise to improve our policy-making. This stuttered rather than sparked. There were some successes: the Europe team notably using alumni, especially previous negotiators, in preparing for a (successful) UK negotiation of the 2014-20 EU budget, avoiding a real terms increase in the UK’s contribution. But other teams either did not see the value, or communicated with their networks with general mailshots rather than using them for policy formulation and specific expertise which was relevant to a current issue. If we were starting again with knowledge groups, I think it would be better to bring in experts in creating, maintaining and intelligently using alumni databases to add value to policy-making from the outset. How did we know if all this was working? We established an internal evaluation framework both for policy and for Diplomatic Excellence overall, with a range of quantitative indicators combining numbers on a scale of 1-10 and qualitative feedback on policy capability through a survey of Whitehall customers, and input from ambassadors and external experts. The team’s running joke was that civil servants rank everything in life at 6.5, but the numbers were useful in showing variation between different indicators, and patterns over time. The latest data tells a story we recognise: the FCO is strongest in using internal expertise and presenting policy clearly, and worst on making use of external expertise and being consistent in the quality of its policy advice. The best aspects of evaluation were the interviews with key policy consumers as part of the customer survey, which provided a richness which numbers alone cannot: for example, on the struggle for creativity in policy-making. It was a relief at a session on evaluation, which the Policy Unit had organised, to hear the present and former heads of evaluation at DfID explain that there was no perfect method for doing this. So have we improved? The numbers suggest we have, but only a bit. The view of Ministers is that we have become more consistent. On the other hand the Foreign Secretary urges civil servants to be braver and more ambitious. As he put it last December “Yes, we want the Foreign and Commonwealth Office to be a Rolls Royce of a Government Department. But we should not be afraid to take that Rolls Royce out and to race it around the odd corner on two wheels when necessary, even if that means risking the occasional dent and scratch”. So there is still a lot more to do. The feedback from our regular customer survey suggests we need to get better at producing high quality policy consistently – by developing and extending learning about how to make policy effectively, spreading peer learning about how to do diplomacy in practice, and getting more systematic feedback from Ministers and others in government about the quality of our work. We need to reality-test our assessment of the FCO’s impact with others in government, too. And, like every department, we need to create capacity to focus on our core priorities by using the resources more flexibly and, when necessary, by doing less on lower priorities – considerably easier to say than to do. We need to keep an understanding of wider government objectives constantly in our thinking; and as demand for international engagement grows and resources tighten across government, we need to look at creative and radical ways of working together on international business. This work on policy-making did not stay at the bottom of my suitcase on arrival in Brazil. One of my first tasks was to fix in-year outcomes at a country level, drawing on the model produced for the FCO Management Board. There was a country business plan, but it was too long, too general, and too long-term to help drive better policy and management performance and to bring the different parts of the diplomatic network in Brazil into a single whole; a challenge in a network with similar sized teams in three different cities and the main commercial activity, which is the centre of our work, outside the capital. So instead of an aspiration for Brazil to be a ‘partner of choice’ on human rights, it’s better to adopt a specific and meaningful outcome of Brazil voting with the UK on the main UN human rights resolutions. I think the foreign and home Civil Services can learn more from each other on policy-making than both sides realise. Senior civil servants from across Whitehall observe that the old levers, of money and legislation, are not so readily available in this decade and that influencing in other ways was becoming more important. This is something on which the FCO has experience and expertise to offer, just as the FCO can learn much from the rest of Whitehall on policy-making: not least on the use of outsiders, sharper focus on outcomes and mechanisms for evaluating them. Welcome to the world of diplomacy. If you really want to learn from the rest of Whitehall, change your HR policies. Drop the two year's service requirement and stand four square on the same recruitment policies as other government departments. You might find that you get many more excellent policy practitioners from other departments joining the FCO rather than being ground down by having applications rejected because they applied at 22 months service or having many years of non civil service work experience discounted. Then people may genuinely feel that they are welcomed into the world of diplomacy. First, can I assure you that we really do value interchange into the FCO and the real benefits our colleagues across Whitehall bring to the organisation. The reason we ask for two years’ of Civil Service experience, is that the recruitment process needs to be fair and transparent: FCO roles advertised on Interchange are also open to FCO employees to apply. Our own internal system requires staff to have been employed by us, as a civil servant for two years. To ensure parity with interchange officers, we apply the same rules – otherwise FCO staff could potentially be put at a disadvantage. That said, dependent on the business case we can and do exercise flexibility in applying these rules. As Alex has said, there is more that foreign and home civil servants can do to learn from each other. We’re really keen to tap into the talent pool across other departments and see inward interchange as a vital part of that - it’s a valuable way for us to bring in new talent, skills, expertise and diversity of approach and ideas. And our staffing ratios reflect that - the number of staff on interchange continues to grow, now representing 11% of our workforce at home and overseas.